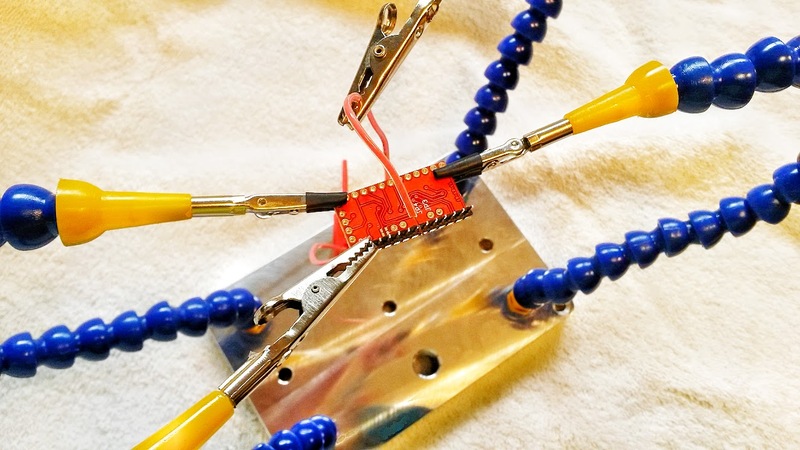 When working with small electronics like Arduino, Raspberry Pi, sensors and robots there are usually more things to hold onto and manipulate than you have hands especially if you are trying to solder something. There are a set of products generically called “Third Hands”. They hold one or more parts so you can wrangle others. Unless you have your own personal assistant to help you with your projects, you need one of these. The classic third hand has 2 adjustable alligator clips attached to a weighted base and maybe a magnifying glass. They work pretty well but you often bump into their limitations. A guy named rstraugh (at least I think he is a guy) put up an “instructable” showing how he made an improved version of the 3rd hand. 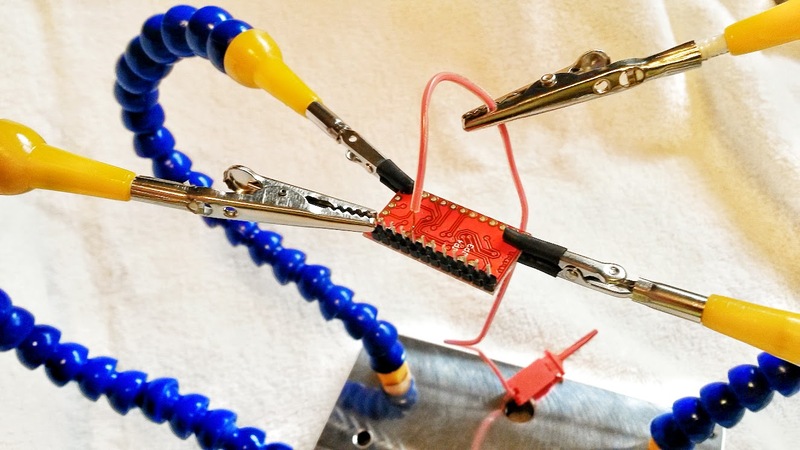 An instructable is a site and a project where someone makes something cool and posts the instructions so you can make it yourself. There are tons of things out there. You can see the one for the 3rd hand here. I thought it was very cool and wanted one. However, I do not have the equipment to machine aluminum so I couldn’t make one. Perhaps I could buy one? I found something that was close but it was $50 and I didn’t think it was as good. Fast forward about 6 months and I saw one on one of my regularly visited electronics sites – Sparkfun. In fact, the Sparkfun guys had seen the same instructable and thought it would make a great product. They used rstraugh’s design and pay him a royalty for each one they sell – at $35. I was ready to swipe my credit card when I notice they were going to put it on sale on Cyber Monday. It will be between 30% and 50% off. For that, I can wait. Monday comes I quickly try to complete my order and . . . . I get an error, I have to type the information in again. I hit submit and . . . . they are all sold out. Major disappointment. My lovely wife got wind if my plight (I told her) and secretly scoured the shopping sites for a unit. Her 99.9% successful shopping rate is unsurpassed. She secretly ordered me one. I ordered 2 extra arms which can be removed and repositioned. 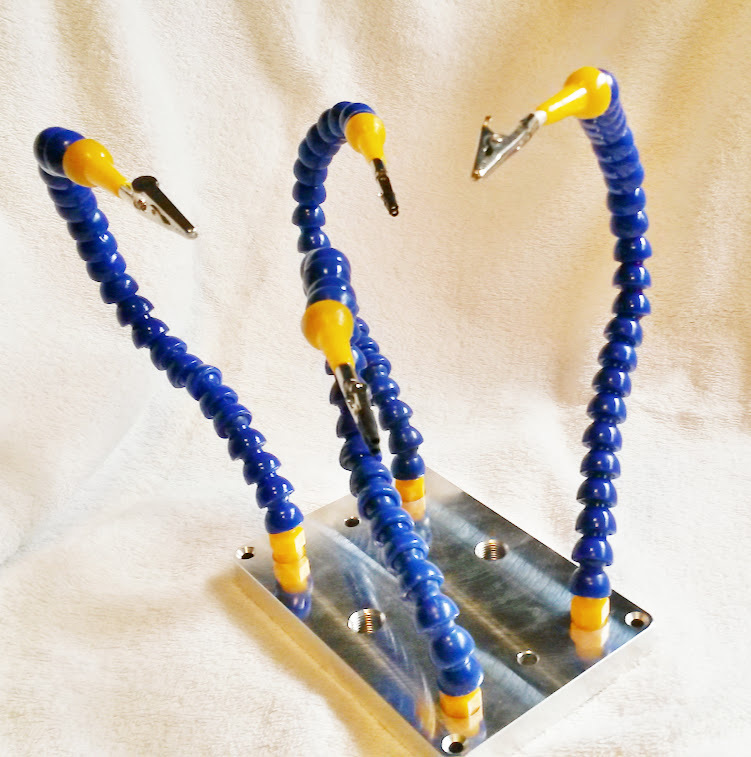 It’s strong and flexible and a great addition to my workbench. If you are a man with manly tools you should make yourself one. If you have a lovely wife that will buy you things you should tell her a sad story about missing out and if you were a better shopper (or knew one) your workbench would be complete (this week). The rest of you, just give Sparkfun your credit card.